Everyone says that digital downloads are the future of gaming, but so many publishers seem to be afraid of making their product strictly digital. 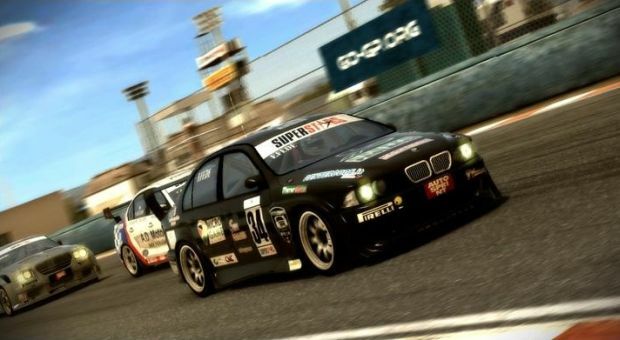 That's not stopping O-Games from releasing a full retail racing title onto the PlayStation 3 this October. 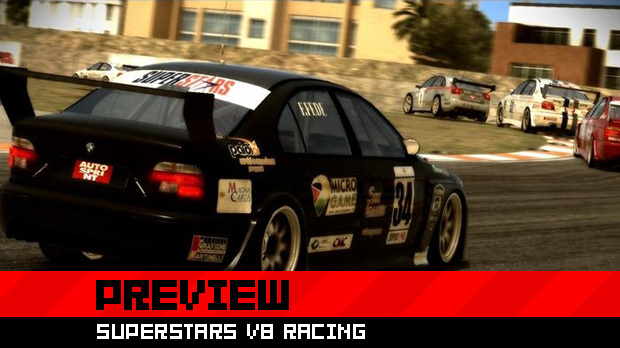 Coming in at a budget price of $19.99 on PSN, Superstars V8 Racing will be offering full top-class simulation racing for those interested. It's an interesting approach very few other publishers have taken, so the game inside has to be very good. Follow the jump for more. I'll be real. Superstars V8 Racing is not exactly a racing circuit I'm familiar with -- not many Americans will be. 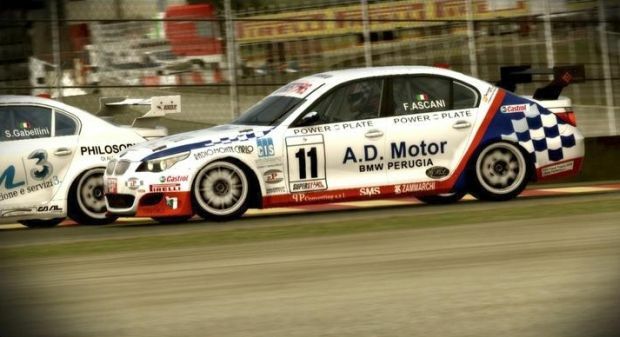 It's a real-life Italian racing series using real-world V8 cars. As a matter of fact, there are only 19 racers in the whole series with only 11 teams. 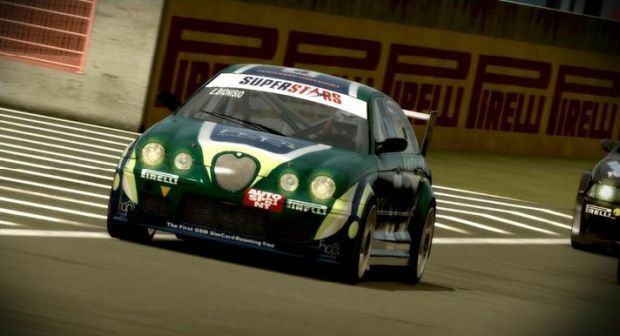 Unlike some recent simulation racing games, players will not be playing as a created character, rather they will be going through the racing season with actual racers. Thankfully, the cars themselves are pretty great. Ranging from the popular BMW to the classical Maserati, these machines are true supercars, and they all will be designed to look exactly like their real-life counterparts. While this lack of customization is a bit of a bummer, props must be given to the rather unique method of making a car work for you. Entering training mode, players will race their given car around the real-life courses and tune it as they play. Edits can be made on the fly, so instead of tuning off the track, it's all done in real time to make the car race perfectly. If all that tuning doesn't sound interesting to you, the game can be switched between Arcade and Sim mode. Arcade keeps it simple and just brings you to the race, while simulation offers loads more options to change up the car. While the visuals cannot be customized, everything under the hood can be tweaked. For those who just want to race, Quick Race is the easiest method to get on the track, while a mode called Race Weekend offers timed series of tuning, time trials, then a race. Championship is the regular campaign, and this is where players will be earning most of their trophies. Finally, Superstars Licenses is a mode with 20 different specific challenges. Multiplayer is very flexible, offering up to 12 players at once; in contrast with many new titles, bots will be brought out to make sure there are always vehicles on the track. Unfortunately, there is no offline multiplayer, so no couch play will be available. As for tracks, there are 10 in all, each one based upon real-world tracks from across the world. South Africa and Portugal were two nations I saw represented, and each of these courses will be affected not only by weather but also by wear and tear. While racers have to be aware of the state of their vehicle's tires, engines, and more, they also have to be aware of the tire grime that will build up over a race, making many areas slippery. AI itself is very aggressive, meaning new players will want to watch out and give themselves as much assistance as possible. Course markers, difficulty levels, and more are all options to make the game easier. It is a fairly difficult racing title, but simulation fans shouldn't have too much of a problem with this one. Graphically, this is a fairly impressive game, especially considering it is a downloadable title. It doesn't look like the developers skimped out on making this a good-looking game, and considering this is a full disc title in Europe (released the summer of 2009), expect this one to be a major download. As for right now, we cannot confirm if the title will support a driving wheel. However, it controls just fine with the PS3 controller. All in all, this is pretty impressive for a downloadable title. While our friends in Europe might have had plenty of time with this game, making it digital both opens up the market and could potentially make this a more successful title. It is certainly a niche game for a niche market, and avoiding the brick and mortar shops will be an interesting exercise. Look out for Superstars V8 Racing in October.